When used in a surround system, the centre loudspeaker is responsible for a number of essential tasks and is the central organ and acoustic core of a multi-channel set in the true sense of the word. Cutting corners when it comes to centre loudspeakers is detrimental to the sound of the entire system. A lot of centre loudspeakers are relatively small for appearance-related reasons or are equipped with average drivers that are not able to deal with the real dynamic requirements of a high-quality surround system. 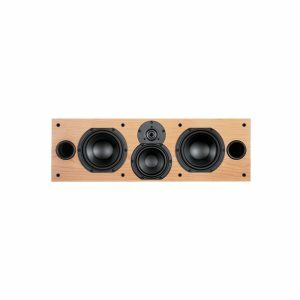 Such loudspeakers therefore produce a sound reproduction that is far too limited, a discoloured or compressed voice reproduction, audible distortions and a tonal imbalance in the entire set. AUDIO PHYSIC always works in line with its motto of “no loss of fine detail”, which was also applied to the development and production of its CLASSIC Center loudspeaker. This centre loudspeaker not only provides enough volume for a powerful and low-reaching sound reproduction, but is also equipped with high-quality drivers and a clever crossover network that enables it to effortlessly play a fundamental role in a multi-channel set. The drivers and technical design of the CLASSIC Center are the same as those used in the CLASSIC 10 and therefore guarantee a perfect tonal balance between the different loudspeakers in the CLASSIC line. This means that the CLASSIC Center also features two cone drivers that work together to reproduce low frequencies. These drivers also provide a larger diaphragm surface area than in models with just one woofer and are therefore able to produce a noticeably more profound foundation with less distortion. The tweeter, which is mounted in the centre of the loudspeaker, has a 1.2″ soft dome that enables it to master even major dynamic jumps and reproduce frequencies extending above 30 kilohertz. 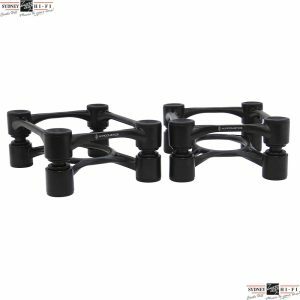 The CLASSIC Center therefore offers the ideal conditions for meeting the high complex requirements involved in surround systems and providing a finely differentiated, clear and exceptionally neutral sound reproduction, whatever the volume. The CLASSIC Center also stands out thanks to another special feature. The loudspeaker’s design contains a bass reflex adjustment that enables it to work without a classic reflex tube and therefore without the system-dependent disadvantages of such a tube. Using a tube means that some midrange frequencies may escape to the outside and discolour the sound produced. AUDIO PHYSIC eliminates this phenomenon by using a novel ventilation solution in both its CLASSIC Center and CLASSIC 10 loudspeakers. 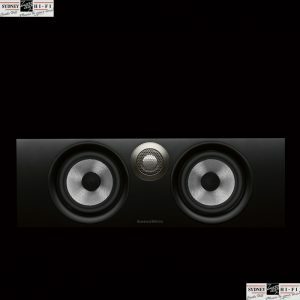 The CLASSIC Center also boasts an exemplary finish, in particular in its glass design, which is even more superior in terms of sound and represents another new benchmark set by AUDIO PHYSIC. The complex sandwich cabinets of the CLASSIC loudspeakers are produced in Germany in order to guarantee top-quality workmanship. This quality deserves to take centre stage, which is rather fitting given that a centre loudspeaker also plays a leading role in a surround system in terms of appearance. The CLASSIC Center also gives you the opportunity to choose how you want it to look. It is supplied with two different front panels: one that enables you to see the drivers themselves and one with an acoustically neutral fabric covering. You can use these panels to adapt your CLASSIC Center loudspeaker to suit your own personal taste. 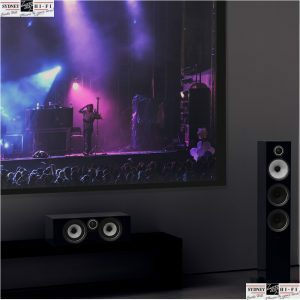 As is the case with all CLASSIC models, the Center loudspeaker is also equipped with the novel technology provided by “nextgen®” connectors from WBT. These connectors guarantee constantly perfect contact between connection cables and your loudspeaker over many years, regardless of whether you choose to use spades or banana plugs. A multi-channel set built around the CLASSIC Center is completed by the AUDIO PHYSIC LUNA subwoofer (link). 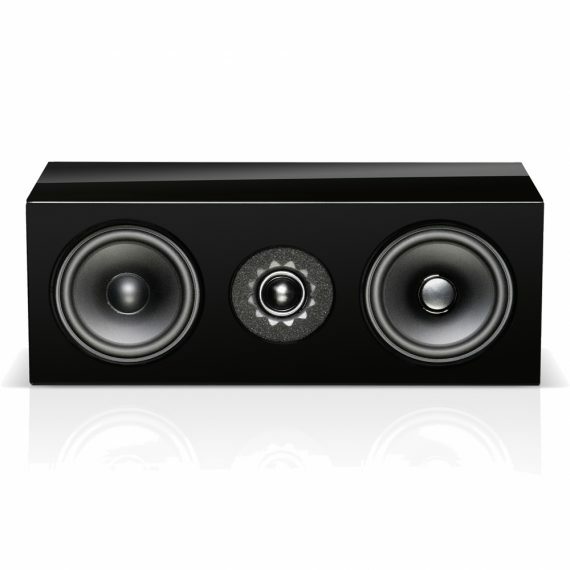 This combination of Audio Physic loudspeakers harmonises perfectly to provide you with natural and extremely realistic music and movies in 3.1 or 5.1 configurations with a breathtakingly high level of quality.